Sun hurls his Golden Staff towards a designated direction, dealing 250/290/330/370/410/450 points of Physical Damage to enemies along its path. Heroes and monsters that come in contact with the Staff experience a 60%/60%/60%/60%/60%/60% reduction in movement speed for 2/2/2/2/2/2 seconds. At that point, Sun will create a doppelganger to attack the enemies. Doppelgangers possess 40%/40%/40%/40%/40%/40% of Sun’s stats and last for 5/5/5/5/5/5 seconds. Sun and his doppelganger launch an instantaneous attack against targeted enemy unit, dealing 180/210/240/270/300/330 points of Physical Damage. Sun summons a doppelganger that has 70%/85%/100% of his attributes. Doppelgangers take more damage. However, each of their attacks recover Sun’s HP. Doppelgangers last 12/12/12 seconds. Enemy units near Sun or his doppelgangers experiences a % reduction in physical defense. Stacks up to 3 times. 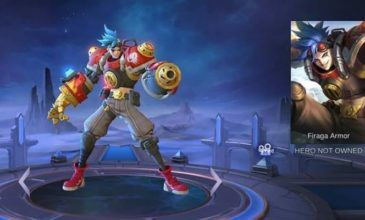 HOW TO GET THE NEW SUN SKIN? 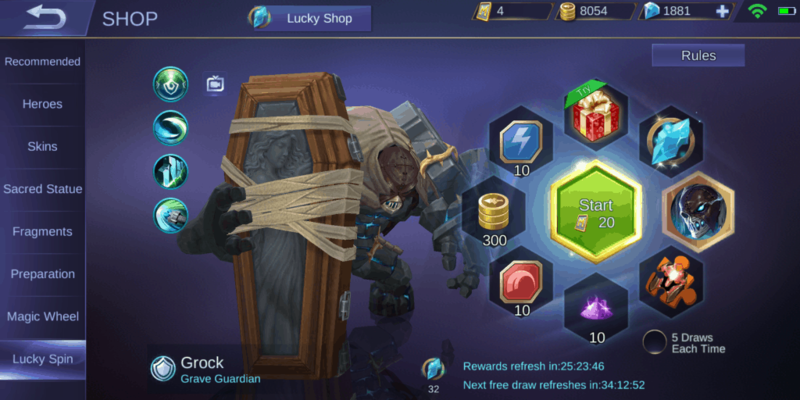 You cant find this skin on the Skin shop, you can get this skin if you had been collect 40 Lucky Gem Fragment from Lucky Spin. 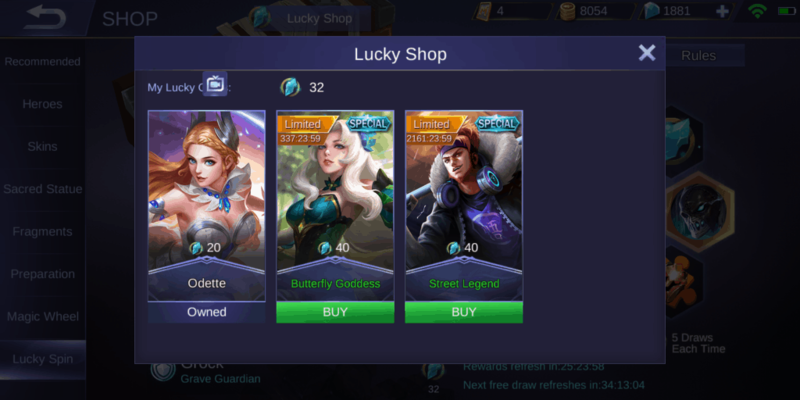 There are some skin that you can get by using the Lucky Gem Fragment such as Odette and Sun.